"I believed in the jinx. 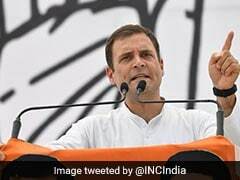 It's good that both - the chief minister and the prime minister - visited there, now its impact is to be seen," the chief of the Samajwadi Party Akhilesh Yadav said. PM Narendra Modi heaped praise on Yogi Adityanath for having braved the 'Noida jinx'. New Delhi: Chief Minister Yogi Adityanath's visit to "jinxed" Noida appears to have raised the hopes of Akhilesh Yadav, the chief of the Samajwadi Party that was decimated in last year's assembly elections. 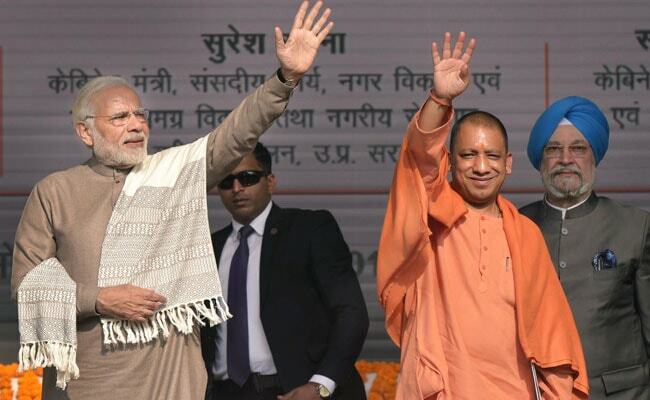 The 47-year-old leader, who had kept away from Noida during his term as chief minister because it was considered inauspicious, said it was good that Yogi Adityanath had made the trip. Akhilesh Yadav had defeated the Mayawati-led Bahujan Samajwadi Party in the 2012 assembly elections, just a year after Mayawati ventured to Noida. She had been the first chief minister in over two decades to have visited the satellite city near Delhi, perpetuating the superstition that a visit to the state's IT hub would cost the state's political executive their job. "I believed in the jinx. It's good that both - the chief minister and the prime minister - visited there, now its impact is to be seen," Akhilesh Yadav said. Mr Yadav seemed to suggest that the "jinx" was already working. "I saw in pictures that he (Yogi) could not flag off or press the button to start metro services," the SP chief said. Uttar Pradesh's Chief Minister hadn't let superstition stand in the way when he arrived in Noida last month for the inauguration of Delhi Metro's new Magenta Line. Prime Minister Narendra Modi had heaped praise on the monk-politician for having braved the "jinx", asserting that faith is important but blind faith wasn't desirable.